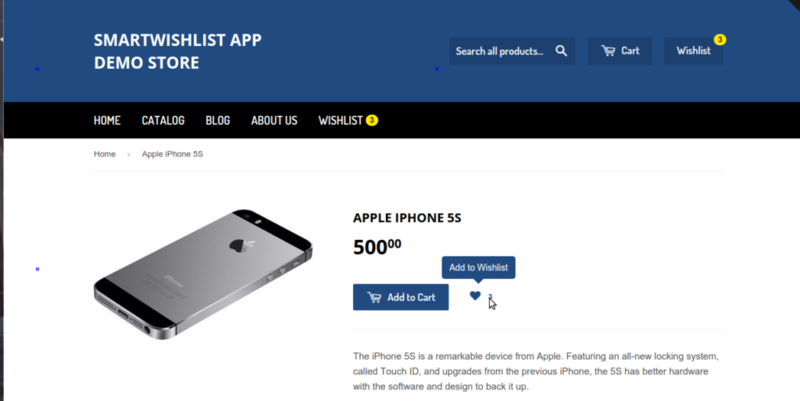 After you have installed and configured Smart Wishlist on your Shopify Store, you can enhance its display by setting up the Wishlist Counter, which displays the total number of items present in the wishlist . If no item is present then the badge automatically hides. There are 2 types of counters available with Smart Wishlist. 1. Inline Counter: This counter displays the total item count of wishlist next to the Wishlist icon. It is enabled by default. b. Under Wishlist icon settings, check/uncheck the box labeled “Display total number of items along with Wishlist icon”. 2. Badge Counter: This is very similar to the Notifications Counter shown on most social networks like Facebook, Twitter, Google+ etc. This Badge Counter is automatically displayed next to any URL, which points to My Wishlist Page (/a/wishlist). 1.Make sure that you have setup a link to the Wishlist Page (usually /a/wishlist) on your Store. This counter is always tied to any relative URL pointing to My Wishlist Page. 2. Visit Apps => Smart Wishlist => Configure Appearance => Badge. 4. If you want to disable the Badge Counter, you can uncheck the checkbox labeled “Display the Wishlist badge on pages”. If you have altered the app proxy (My Wishlist Page URL) to something else (for e.g. /apps/wishlist), then you should first update the same in Advanced Settings and use the updated URL for linking purposes.